A WORLD champion is dropping in to the Oldham Boxing and Personal Development Centre tomorrow to pass on a few tips to young boxers. 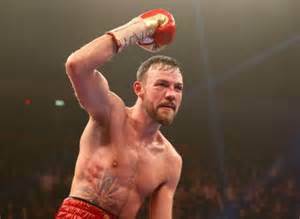 WBO middleweight king Andy Lee will take time out from preparations for his bout on Saturday night at the Manchester Arena to visit the Greaves Street venue for a media work-out. London-born Lee will meet members of the OBPDC team and sign autographs for fans. Eric Noi, head coach at OPBDC, said: “This is a real honour for the club and we are delighted Andy will be leaving his training camp to come and visit us. Lee meets Billy Joe Saunders this Saturday in the first defence of his title.